ONLY YESTERDAY just about everyone I spoke to in the polyethylene (PE) industry believed that the US and China would reach a trade deal by their 1 March deal. I agreed with them, although I kept cautioning during discussions that any trade deal would be paper thin because of the impossibility of fully bridging the gulf between the US and Chinese positions. “US and China tensions will continue for the next 20-30 years,” was the response of one of my contacts. That was, as I said, yesterday. But Asia woke up this morning to hear that Larry Kudlow, director of the White House National Economic Council, had told Fox News that “a pretty sizeable distance” still needed to be travelled before a deal could be reached. President Trump then compounded the gloom when he said that he would not be meeting President Xi ahead of the March deadline. He had previously said that a meeting would take place. Most analysts, including me, thought that the meeting would happen, and that it would rubber stamp a trade deal already put in place by lower level negotiators. Watch this space, of course. Before the ink is dry on this blog post events may have changed again. But the events of the past 24 hours are at the very least another reminder that we live in exceptionally uncertain economic and geopolitical times, perhaps as uncertain as the early 1980s during the height of the last Cold War. As things stand today, the best we can hope for is that both sides agree to discuss their differences for a few months longer, and that the trade war in the interim period does not escalate. In such an ideal outcome, President Trump would decide not to increase tariffs on Chinese imports, including imports of plastic products, from 10% to 25%. This would also mean no new reciprocal tariffs or investment restrictions imposed on the US by China. Let’s assume for the sake of optimism that this ideal outcome happens. 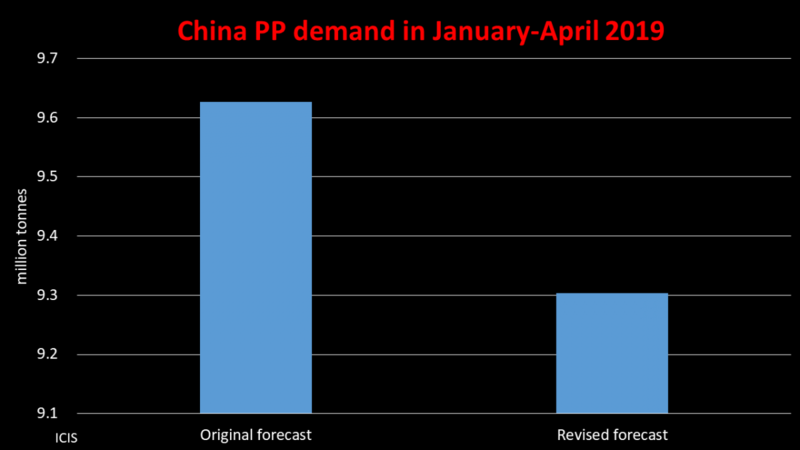 This would likely mean that the 25% tariffs on US high-density PE (HDPE) and linear-low density (LLDPE) exports to China would remain in place beyond March. The tariffs have been effective since late August last year. 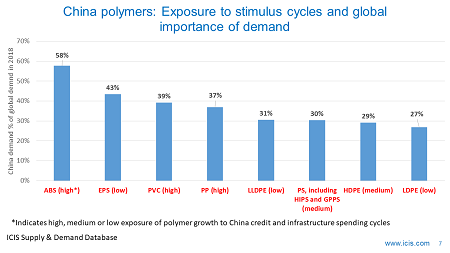 China is the only country that can possibly, conceivably, absorb US surpluses as US HDPE and LLDPE producers undertake their biggest-ever capacity increases. This is not an opinion. It is instead a fact proven by the data. For example, because of the scale of Chinese LLDPE deficits versus the scale of US expansions, if the US cannot export to China because of the tariffs it would need a 51% share of the remaining global net import market. If it can ship to China it would need just a 26% of the global net import market. 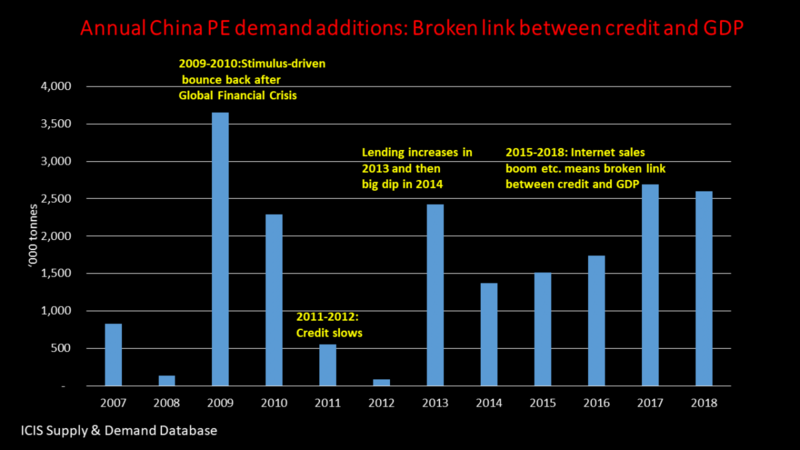 What further underlined China’s crucial role in absorbing US PE surpluses were last year’s final Chinese imports numbers, which have only recently become available. Overall PE net imports increased by 20% to 14m tonnes compared with 2017. HDPE net imports rose by a relatively modest 6% to 6.6m tonnes. BUT, LLDPE net imports soared by 44% to 4.6m tonnes. The above chart should therefore be of considerable concern to the US and global PE industries. It shows the steep fall in China’s imports of US PE from August onwards as the tariffs came into effect. 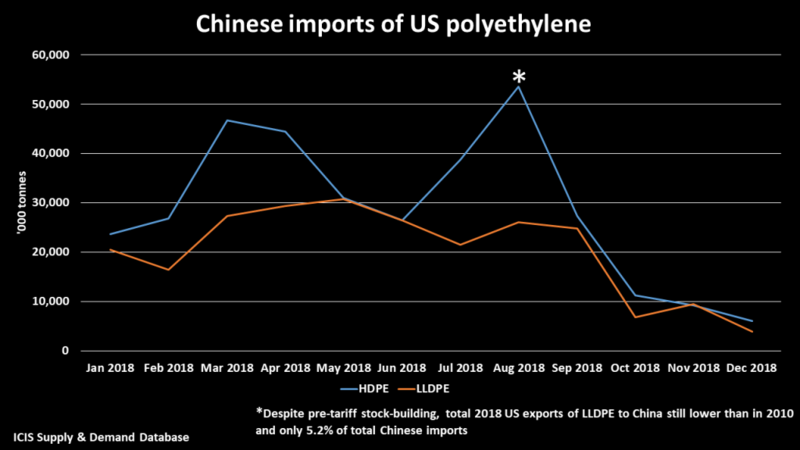 You will obviously notice a steep rise in US LLDPE imports ahead of the imposition of the tariffs. But total US LLDPE shipments to China were only 243,310 tonnes in 2018, 5.2% of total Chinese imports. This compared with 328,868 tonnes and 13% of total imports in 2010, when the US was not involved in major capacity expansions. 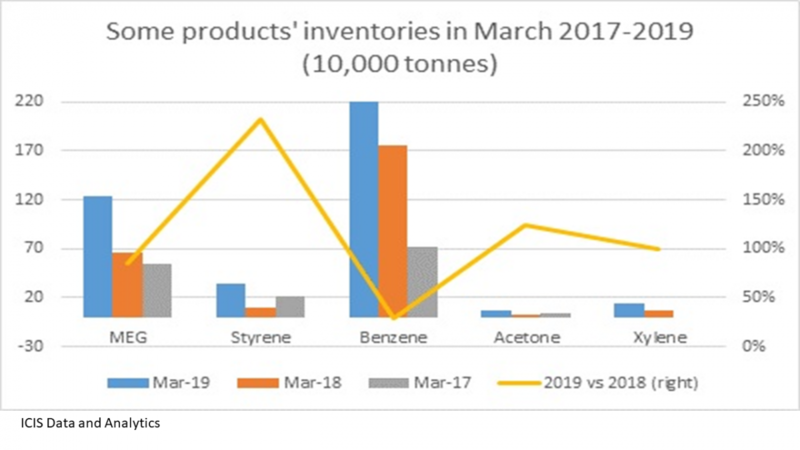 The temporary good news is that the US was able to offset these losses by raising HDPE and LLDPE exports to Indonesia, Malaysia, Thailand and Vietnam. These Southeast Asian (SEA) countries were in turn able to raise their exports to China. 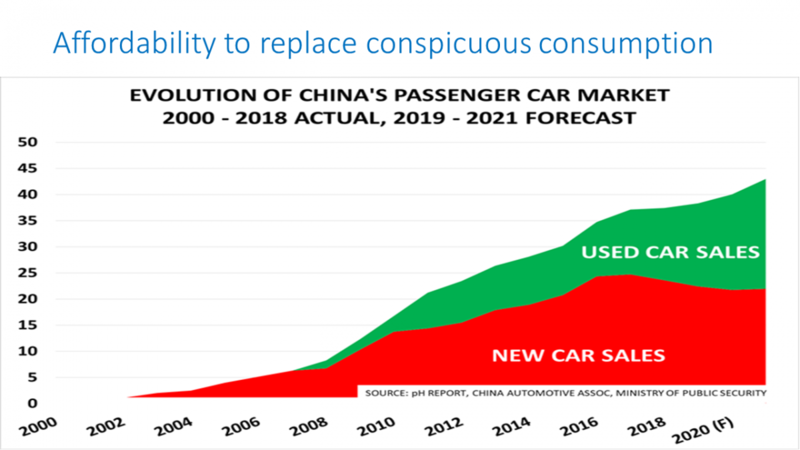 The risk is that if the Chinese tariffs stay in place beyond March, resulting in a continuation of the trend you can see from the above chart, relatively small import markets, such as the ones in SEA, could become overwhelmed. Local producers might then seek their own tariff protection against US cargoes. 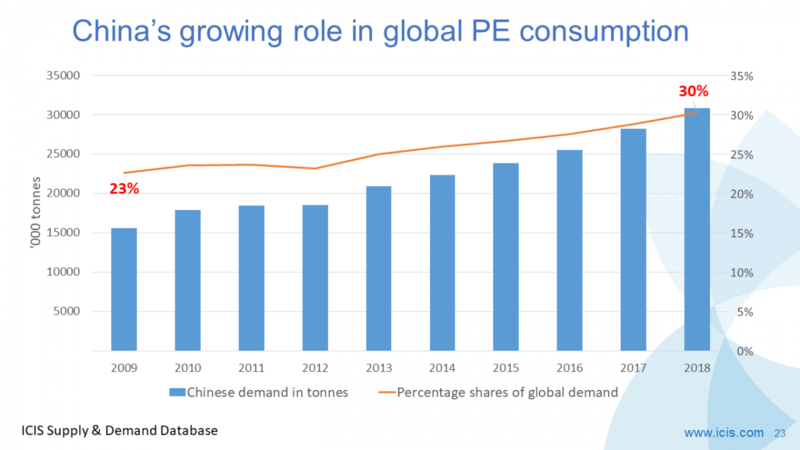 This could especially be the case in LLDPE as I estimate that total US LLDPE net exports will increase from 1.4m tonnes last year to 2.4m tonnes in 2019 and 3.5m tonnes in 2020. Or US producers may absorb some or all of the 25% Chinese import tariffs which would allow their shipments to China recover. But the risk is that the reduced returns would not satisfy shareholders who have come to expect constant quarter-on-quarter increases in US PE companies’ profitability. Lower returns would come during a period when US PE companies face large capital costs as a result of the unprecedented scale of their new investments. 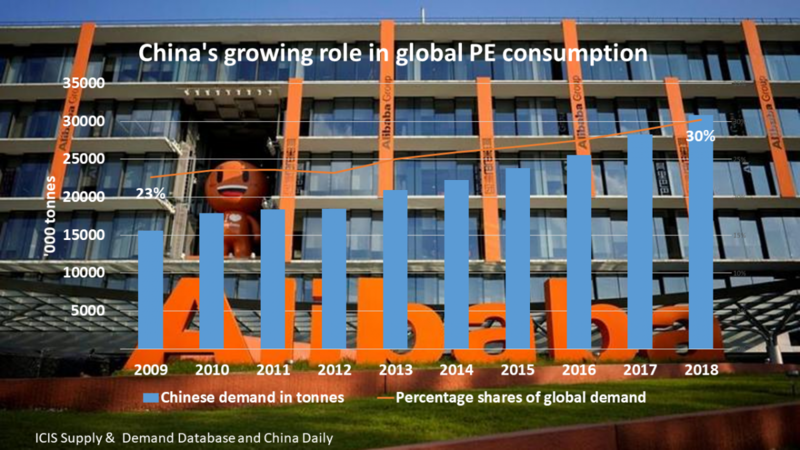 US PE producers appear to be caught between the rock of losing essential sales to China and the hard place of disappointing shareholders. 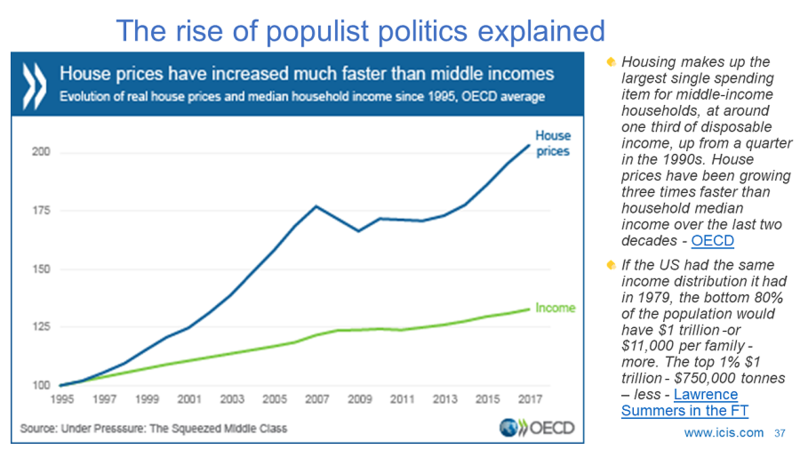 All may still turn out OK in the end, but, as I keep reminding everybody, hope is not a strategy in today’s exceptionally uncertain economic and geopolitical environment.